What is Compost Tea? A good compost tea is a living soup of bacteria, fungi, protozoa, and nematodes that help to provide your garden with essential nutrition, and also protect it from disease. Some of the microbes directly benefit the plant, while others are there to help create and maintain a complete and healthy soil system. A foliar spray of tea will coat the surface of leaves with microbes that work to out-compete disease causing organisms. 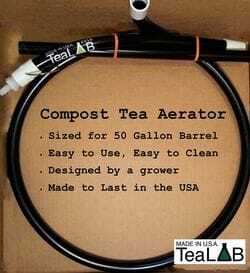 Compost tea is an essential part of a successful and abundant garden. 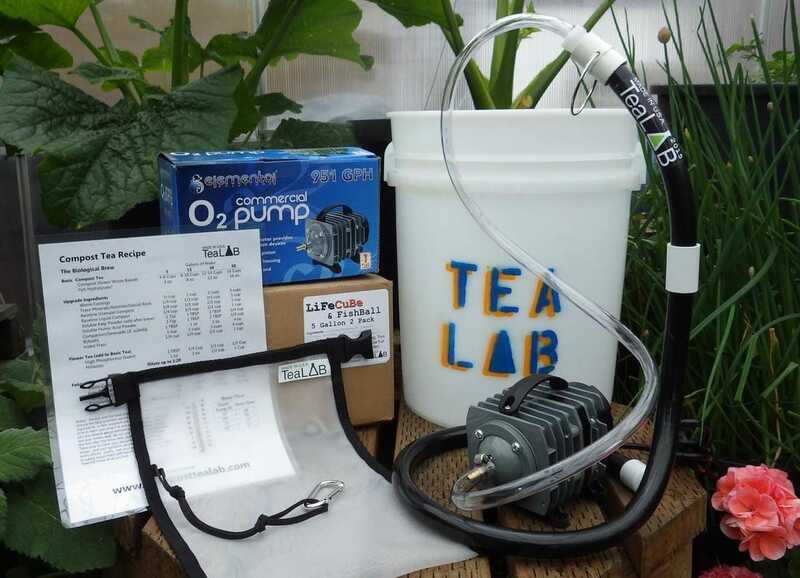 Actively Aerated Compost Tea (AACT): A compost tea brew using air bubbles to oxygenate the water during the brew process, as opposed to an non-aerated tea. Aerobic: The presence of oxygen. A good AACT will have lots of aerobic bacteria. Anaerobic: The absence of oxygen. Anaerobic bacteria thrive in a no-oxygen environment. Bacteria: Single celled, microscopic organisms. Bacteria produce substances that can be beneficial, or detrimental, and can make or break the health of a garden. Bacteria are everywhere and various species have evolved to fit nearly every niche in nature. Facultative Anaerobic Bacteria: Bacteria that can survive both with and without oxygen. There are several very beneficial facultative microbes, like Lactobacillus for instance. Fungus : Single to multi-cellular organisms, observed as molds, yeasts, and mushrooms. Some fungi (plural = fungi) cause disease, while other protect from disease. Mycorrhizal Fungi: These fungi are beneficial to plants. There are two types, endo-mycorrhizae and ecto-mycorrhizae, that grow into (endo) or around (ecto) plant roots. These fungi transfer water and nutrients to the plants in trade for sugars that the plants produce. Protozoa: Single celled animals (Proto=first Zoa=animals). These microbes can be stationary or mobile, and eat other microbes, excreting them as waste that plants can use. Nematodes: Microscopic roundworms. Some nematodes will help your garden stay pest free, while other nematodes can cause disease. Using our BubbleSnake to bubble clean water for 2 hours to remove chlorine. Add 4 cups of your favorite compost in our Brew Bag. Close the bag by rolling the lip 3 times and clipping the buckle. Place the bag in the bucket, clipping the buckle to the BubbleSnake’s neck ring above the bubbles. Add a microbial food source such as our dissolving FishBalls. Bubble for 24-48 hours. No foam, no worries, foam is not an indicator of tea quality. Remove the BubbleSnake and Brew Bag, spraying them to clean them off. Use the Compost Tea immediately for best results! Use the highest quality ingredients you can find. There is a good chance your local grow store is not yet carrying the best ingredients just quite yet. Go to a local nursery, organic farm, or farm stand and make friends with the growers, they always know where to get the good stuff. Read below about what makes a good ingredient. Big bubbles move the water, agitating the compost, knocking the microbes from the substrate and into the brew. They also create small water currents that can help to minimize sediment build up on the bottom of the brewer. ​Take the time to wash out the tea-bag, brewer, and bubbler between brews. This will help to ensure you tea is always high quality, and your equipment will last longer. Good compost is your friend. Compost is broken down organic material, full of good bacteria, fungus, microscopic worms, and unseen animals called protozoa. Using the best quality and freshest compost will make all the difference in your compost tea. Learn how to make it yourself and your gardens will always flourish. Made from a slurry of ground up fish, the fishes own stomach acids digest the fish parts (proteins) into useable smaller parts (amino acids, vitamins, lipids, etc.). Fish hydrolysate is different than emulsion in that it is not heated during production, leaving the essential constituents useable to bacteria in their most valuable forms. Fish hydrolysate comes in liquid and powdered form. The powder granules have been show to provide an excellent substrate for fungal growth. Worm castings are like gold, worm poop gold. Worms eat up anything in the soil they can, their guts grind the material and load it with some of the most beneficial bacteria around. Then they poop it out, leaving a tiny pellet of available nutrients and beneficial biology. There are different grades of worm castings, and you will get what you pay for. Find castings that are clearly all castings, no sand, twigs, stems or seeds. Lower quality castings are acceptable for amending into your garden beds, but use the best you can find for your compost tea. Minerals act as a material for microbial life to attach to while growing in your compost tea, some becoming available to the plants through bacteria and fungal action. Minerals in your tea will promote the growth of bacteria and fungi that utilize them for growth. Azomite, Kelp Meal, and Glacial Rock Dust are three of the best minerals you can add to tea. They provide micronutrients to both plants and microbes. Try and find something round, a five gallon bucket works great. If you need to brew more, find a barrel without as few ridges and indentions as possible. This will help with water circulation and make things way easier to clean. The more ridges (including scratches) the more potential for bad bacteria to find a spot to live. Get a good air pump. 5 Gallon Brew- use a 550 to 1000GPH (Gallons Per Hour) pump. A 15 gal uses between 900 and 1300. A 50 gallon brewer needs 1200GPH-2000GPH air pump. If you live at altitudes higher than 1000ft, you will want to use the larger pump, as it is harder to oxygenate water at high altitudes. Use a pvc pipe drilled with small holes. Clean this pipe with a bottle brush. The more bends and junctions make the bubbler harder to dis-assemble and clean. If you do not want to make a bubbler, you can buy one from us. We appreciate the business. 400 microns is the size of mesh the professionals say to use. It is just big enough for fungal hyphae and nematodes to fit through, but small enough to keep sediment from entering into, and then falling out of solution. You can use a paint-strainer bag from ACE hardware, or some of your mom's pantyhose, but both are only temporary, rip easy, and will leave you wishing you had a real brew bag. 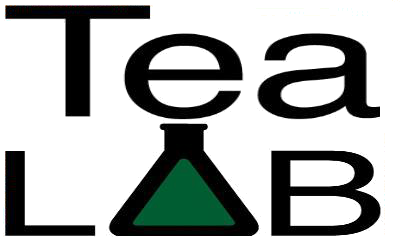 If you want to make a good investment, you can buy lifetime guaranteed bags from TeaLAB, it's kind of what we do.